Nowadays, you need a VPN to protect your privacy, keep your data safe on wifi hotspots, or to access the open internet while traveling. 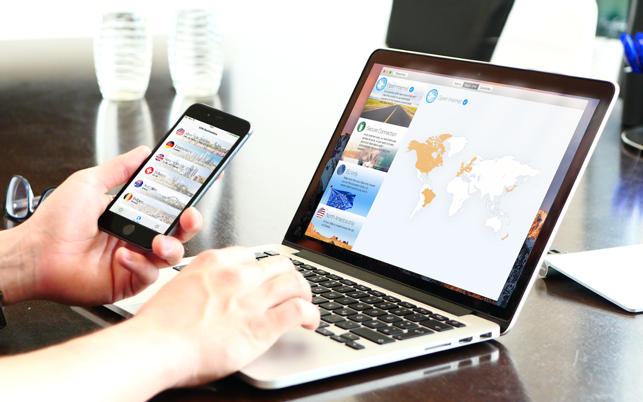 · Buy once, use on Mac, iPhone and iPad. · Secure, fast, zero config. 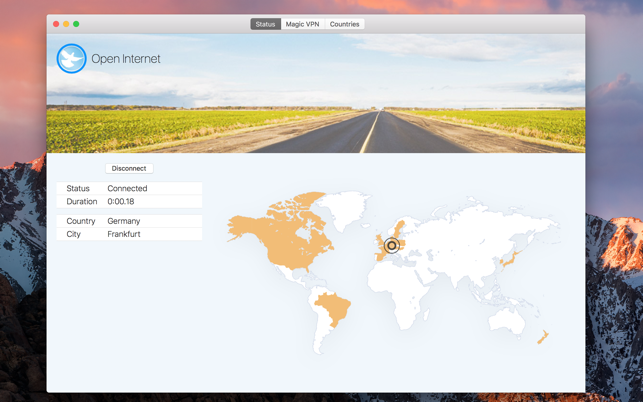 We think it’s the world’s fastest VPN for Apple users. 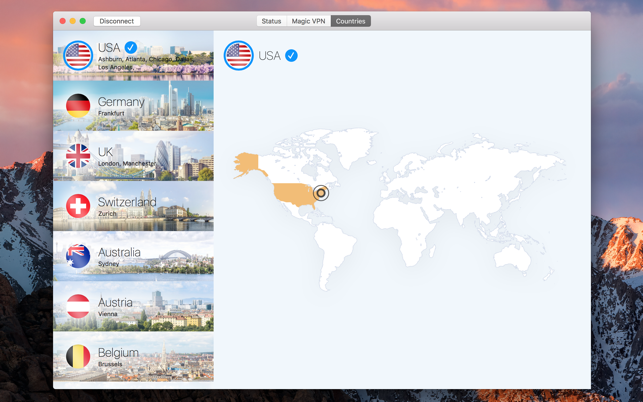 · Magic VPN: Let World Connect automatically pick the best VPN destination for your needs – VPN made easy! Take our free 24 test-drive now. No obligation, no cancelation needed. 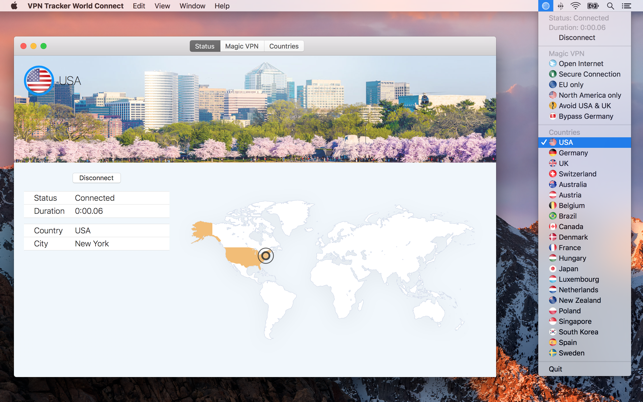 VPN Tracker World Connect doesn't collect or log any data that is sent over your secure VPN connection – privacy garantueed. Price may vary by location. Subscriptions will be charged to your credit card through your iTunes account. Your subscription will automatically renew unless canceled at least 24 hours before the end of the current period. You will not be able to cancel the subscription once activated. To disable auto-renewal, visit your App Store Account Settings after purchasing. I am very pleased with the VPN service equinux provides and their applications. VPN Tracker World Connect is amazingly fast and while running, the data download speeds are the same as if it wasn’t installed. I have tried many other VPN providers and no other even comes close. With other VPN providers I experienced a reduction in download speeds as much as 80 Mbps with my typical download speed being 125 Mbps. You can run VPN Tracker World Connect through it’s own app or download their VPN Tracker 365 app and run the service through that app as well. Very flexible and also runs perfectly on my MacBook Air 11” with macOS Sierra installed. The price is well worth the service, quality of apps, and ease of use. I highly recommend to anyone wanting a hassle free VPN. 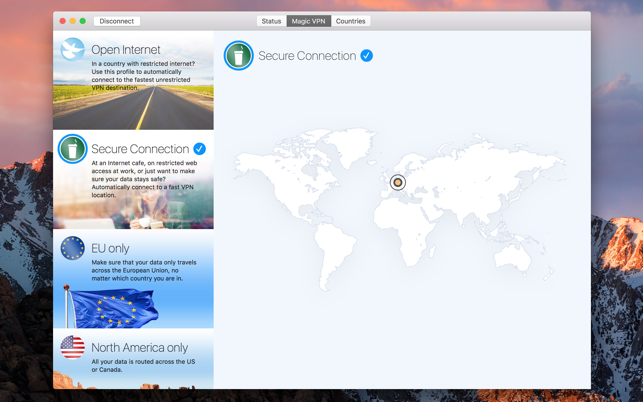 One of the best VPN out there today…..